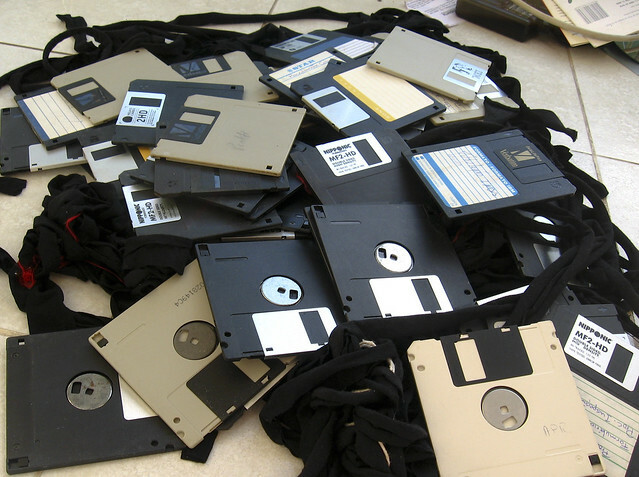 Have you ever discovered a box of floppy discs with no labels? Or labels like MKRESTHQ, written to conform to the old DOS rules of only 8 characters in a file name? Have you ever just tried to OPEN one of the files? Gotten this unhelpful charmer? This is where DROID and command line come in handy – even if you can’t actively open the files, you can create a listing of their contents and identify the file types. The files are part of a java-script assembly and needed minor tweaking the first time I tried to run them in a Windows 7 environment. DROID isn’t an out-of-the-box perfect tool, but it is worth the effort. What else does DROID do? 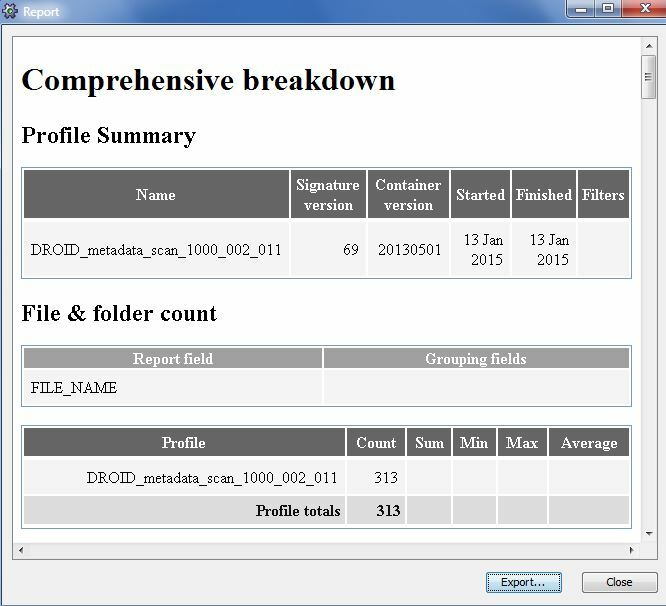 “DROID scans files, collecting information about them into a profile which can later be explored, filtered, exported and reported on. 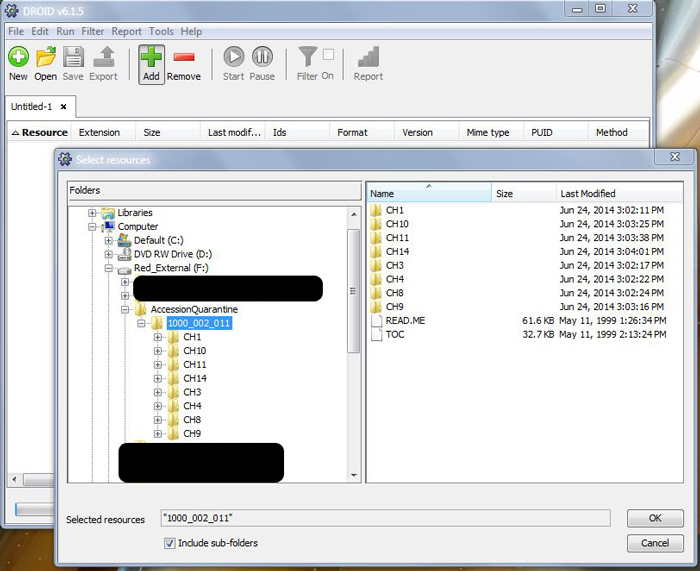 Millions of files can be profiled, and many different profiles can be reported on at the same time. It will also look inside archival files (such as ‘zip’ files), and examine the files inside them too. 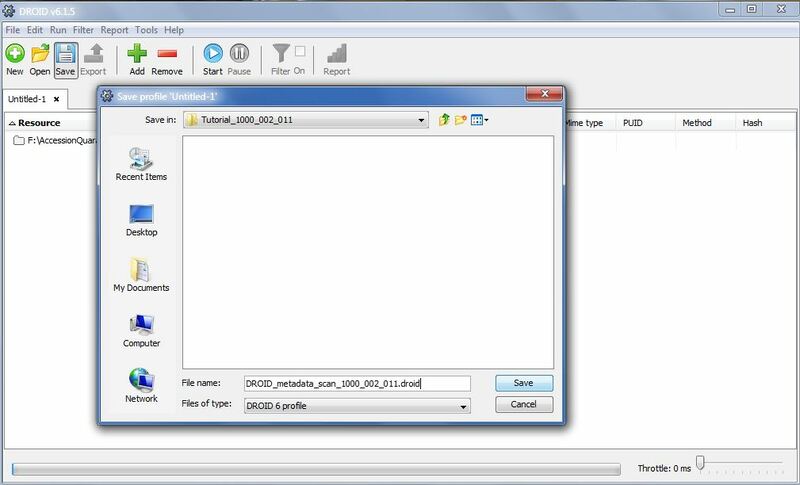 One of the most important functions DROID performs is to identify what format a file is written in, even if the file name extension is wrong or missing. Where possible, identifications are made beyond the broad type, down to the version level. 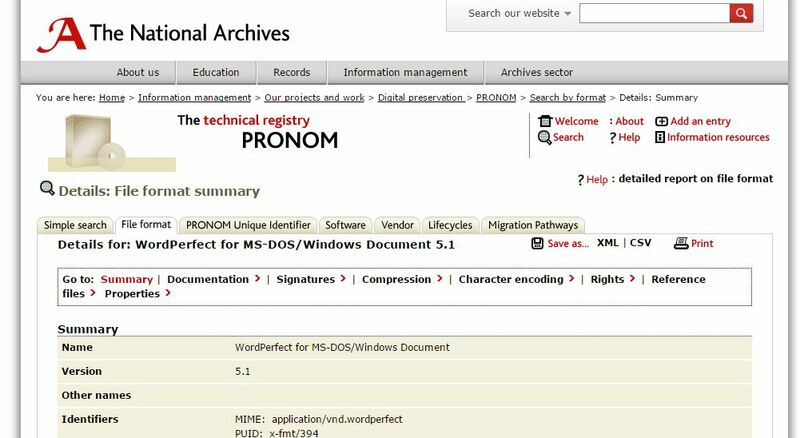 For example, it can tell you that a document is written in a very old version (e.g. Word 6.0), not just that it is a Word document. Source: official support and guidance PDF. 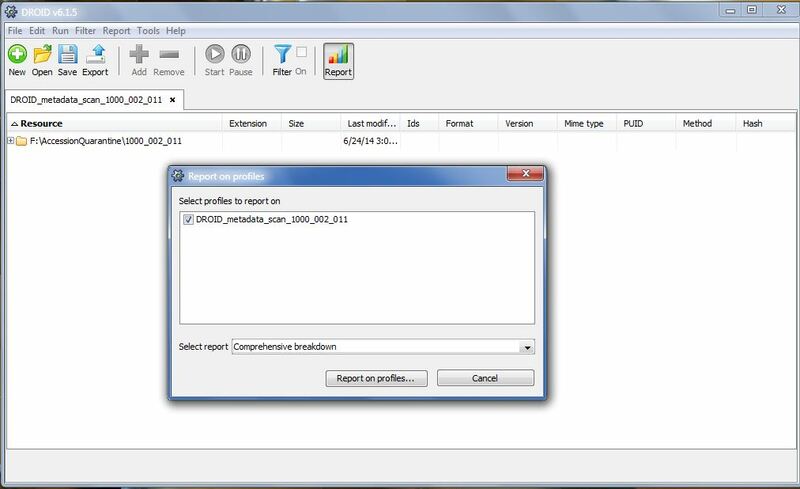 The goal is to have several fresh pieces of administrative and descriptive metadata, so that even if you can’t render the files now, you have saved as much evidence as possible for future sessions. When possible, do your metadata and processing work on a surrogate copy. 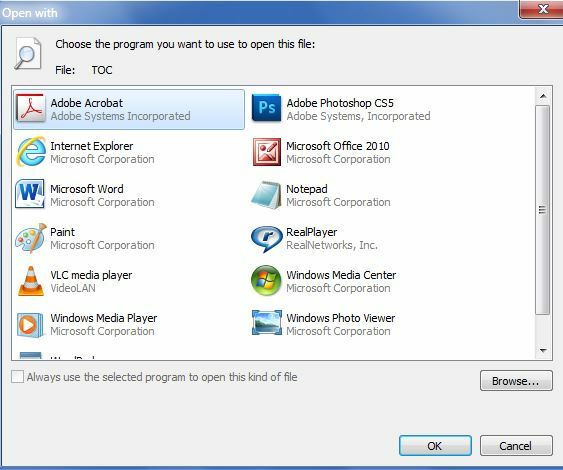 Yes, you can skip this step, but you risk damaging your original and you risk introducing a virus into a controlled workspace. If possible, copy the files to a workstation that isn’t actively connected to the network or internet during your session. One of my SAA Workshop instructors recommended moving the items and waiting 30 days before further ingest (or workflow), to hopefully catch any malware or virus that needed an incubation period. The basics of this tutorial are not dependent on this step, but you should learn more about best practices for working with legacy media. Next, in Windows 7: Open command line. Congrats! If you don’t get an error message, you did it correctly. Now, go check the contents of the destination folder for the new floppycontents.txt file. Close the command window. You’re done with this first part of the metadata harvest. And now you have a text file that maps out the directory and sub-directory contents of the disk. When I first launched version 6.1.3 I needed to update the droid.bat file to work with the system I was using. You might need to make similar adjustments. Consult the very helpful Google Group. Save the DROID profile. 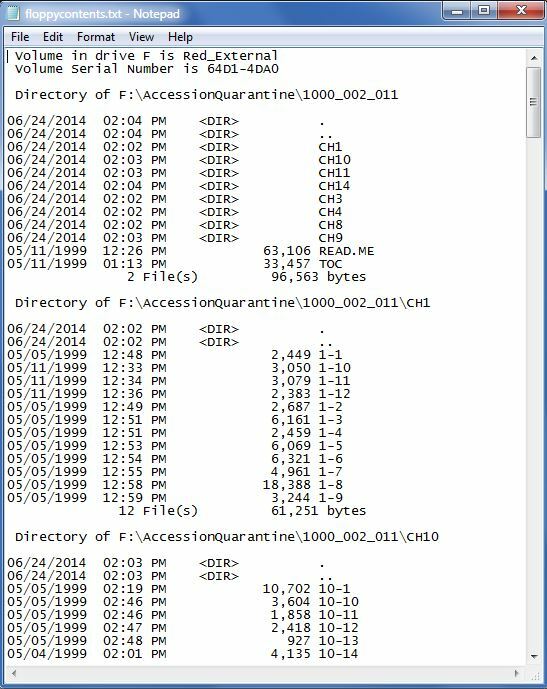 Save it to the metadata destination (accession) folder for the item, not to the quarantine area. For us, that’s the “Tutorial_1000_002_011” folder. Click the blue START button to begin the analysis. A progress bar will be displayed at the bottom of the window. 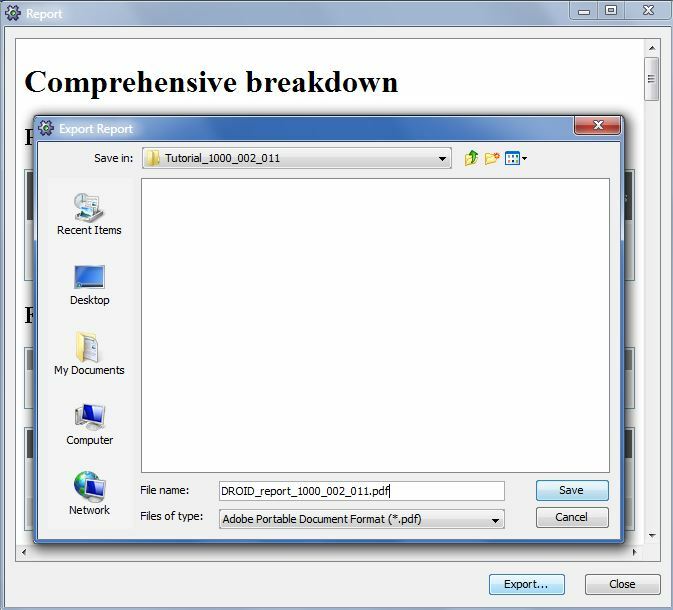 Then click on EXPORT to save the report in the next pop-up window. Yes, they used the word EXPORT for two different functions. Save it as a PDF in your metadata folder. 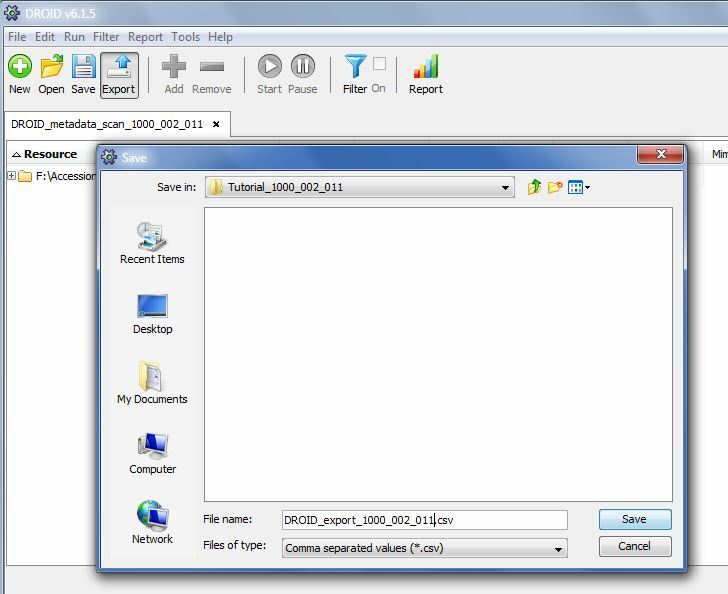 The Final Step in this very basic run is to EXPORT the resulting list of file names and types to a CSV file. At this point, you will have some very nice files to inspect! You can run a search for every PUID to learn more. You can clean this up CSV and save it as a different file type if needed. This is just the raw first look. That’s it, you’ve explored a poorly labeled floppy disk! Now you can decide how to proceed, if you need emulators, if you should toss it. And you have a record of how you are making these decisions.